Fucina Artistica Boranga is a Venetian company that has been manufacturing wrought iron masterpieces for over 200 years. 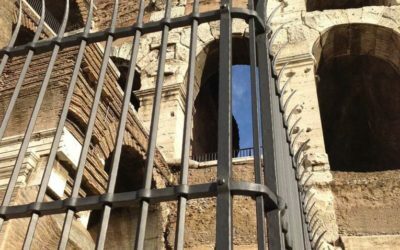 The best creative wrought iron, heated in furnaces and beaten by hand to create gates, fences, railings, railings, balustrades, gazebos, canopies, columns and furniture accessories, which are appreciated and exported all over the world. Fucina Artistica Boranga processes all types of metals, using forges and hammers, to create unique and rare objects. Delicate objects for interior design as well as robust outdoor structures: gates, fences, railings, railings, balustrades, gazebos, canopies, columns and anything else our clients might request, in almost any style. What makes us special is our passion for tradition and innovation: that’s why, in addition to classical wrought iron, brass, copper and gold processes, we also work with steel, brass, iron and glass using modern techniques, carrying out every single stage of the process ourselves, from manufacturing through to installation, anywhere in the world. We’ve been in business for over a century, producing only authentic, Made in Italy hand-forged metals, right on the doorstep of the Serenissima Venezia. 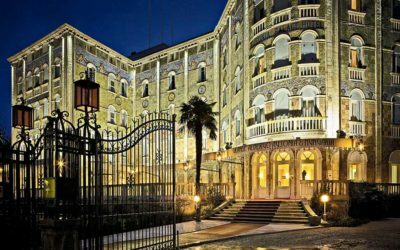 Fucina Artistica Boranga and the Grande Albergo Ausonia & Hungaria of the Russo family at the Lido of Venice: an important partnership for business and relationships. 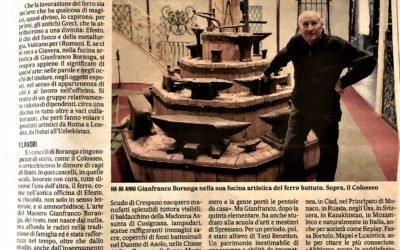 A special article dedicated to the founder of the company Cavalier Gianfranco, the master of Fucina Artistica Boranga. 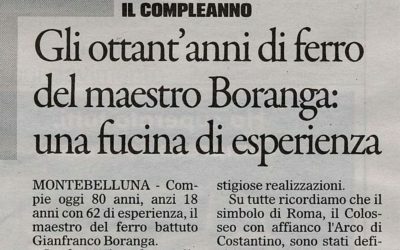 An interesting article written by "La Tribuna" about the project of which Fucina Artistica Boranga was the protagonist in the creation of the gates of the Colosseum, the Flavian Amphitheater in Rome.